Pool pumps of bronze run quiet and stable. The pump impeller is also made of bronze and it is fitted to a shaft made of acid proof stainless steel. Equipped with a strainer basket making it easy to remove dirt such as leaves and insects. A speed controlled pump reduces the operating costs compared with conventional pumps. Lower speeds give lower energy consumption and quieter operation. 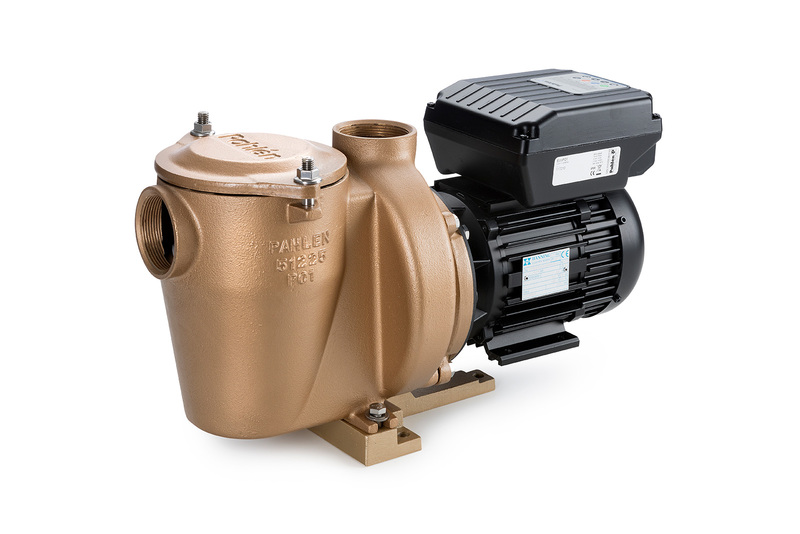 An existing pool pump P01 can be advantageously upgraded with EcoP01 drive side to get the same characteristics as EcoP01. Swedish-made quality bronze pumps. Optimum performance for private pools.